I like what Ford did with the face of the refreshed EcoSport, the new front perfectly matches the body. ...as expected it doesn't blend well. 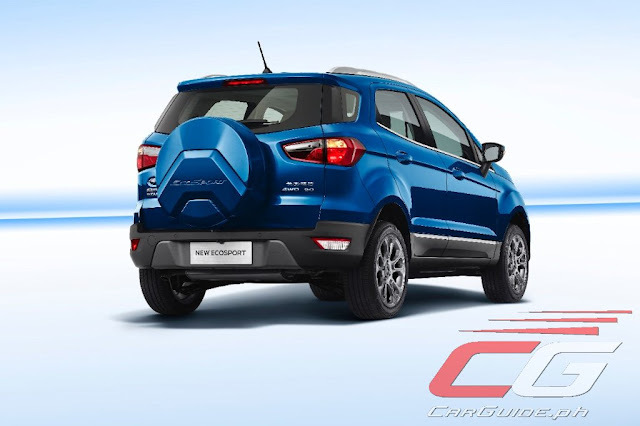 It's a boxier front intended for a traditional boxy SUV shape which the rounded EcoSport is not. Last edited by AM222; 04-14-2017 at 12:45 PM. I guess styling isn't the biggest issue for me with EcoSport, it's the small wheels and short wheelbase. 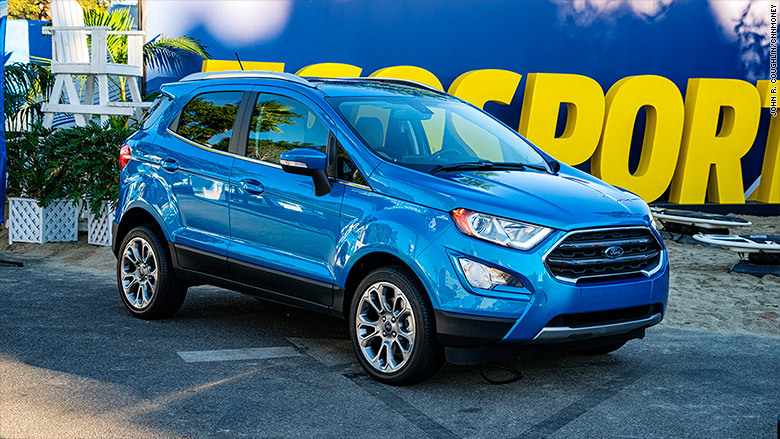 Where the Trax looks like a Crossover with a wider stance and big tires, the EcoSport looks like an odd variety of subcompact, the boxy and short rear-end almost looks MPVish. I think it might be a challenge to market to American customers but Ford's SUV customer base is strong enough to overcome some likely resistance and identity confusion. I'm sure Ford knows they don't have the ideal solution and they were caught somewhat off-guard by the market shift but they usually get around to making a stronger showing when it's absolutely essential. It also gives them time to observe the maturing market and respond appropriately. I guess styling isn't the biggest issue for me with EcoSport, it's the small wheels and short wheelbase. Where the Trax looks like a Crossover with a wider stance and big tires, the EcoSport looks like an odd variety of subcompact, the boxy and short rear-end almost looks MPVish. The EcoSport does have smaller tires but I think Ford was able to balance out the overall vehicle and not make it look like it had a nose that belonged to a larger vehicle. Wheelbase is almost the same on the two subcompact CUVs but the Trax has a longer overall length, most of which appears to have gone to its nose. 2b2, scford58 and Bloggin like this. 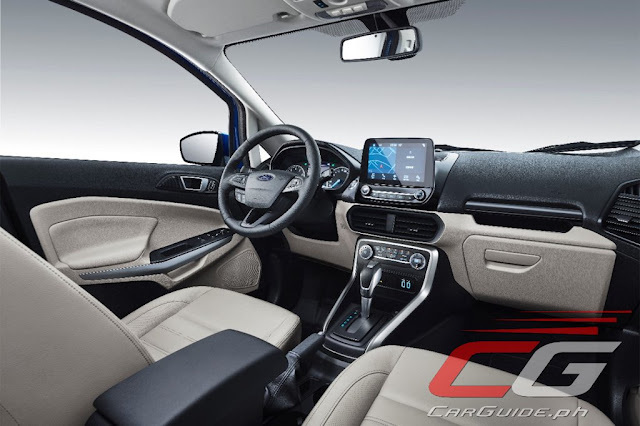 Asia-Pacific debut of the 2018 EcoSport at Shanghai. The Trax is the same in length and width but the wheelbase is about 2-inches longer which does make a difference if you're going to increase the size of the wheels and improve interior packaging for the rear seats. The other thing that makes EcoSport look less like a SUV than the Trax is the cab-forward greenhouse, similar complaints about the Escape design. They both look the same to me, like little puddle jumpers. Which is fine, but we are splitting hairs here on which looks more like a CUV. I have seen both in person, are both too small to my liking, but I bet the Ford has better driving dynamics than both the Trax and the Honda. However slight that advantage may be. 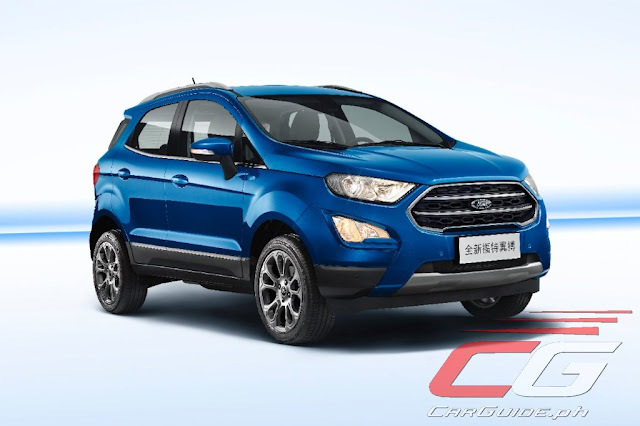 The difference in wheelbase is only 1.4 inches, the overall length of an EcoSport including the rear external spare tire is almost the same as the overall length of the Trax, the US market model has no external spare tire, so expect it to be several inches shorter than the Trax. About the EcoSport being more cab-forward than the Trax, it's actually not. This looks pretty good. I think EcoSport has the better proportions. AM222 and Bloggin like this. The 2018 EcoSport's cameo in Guardians of the Galaxy Vol.2 was really quick.